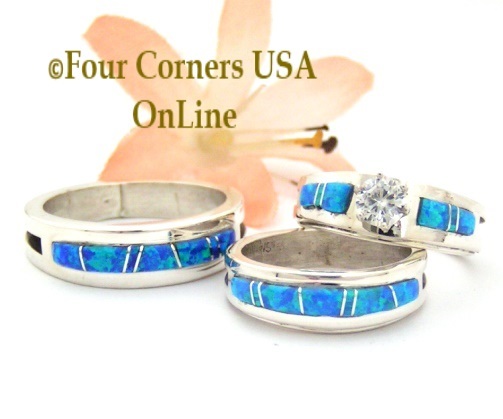 Blue Fire Opal Inlay Band Rings featuring Native American Artisans Ella Cowboy and Wilbert Muskett Jr. Navajo Silver Rings each individually handmade in two different styles and vibrant blue colors. 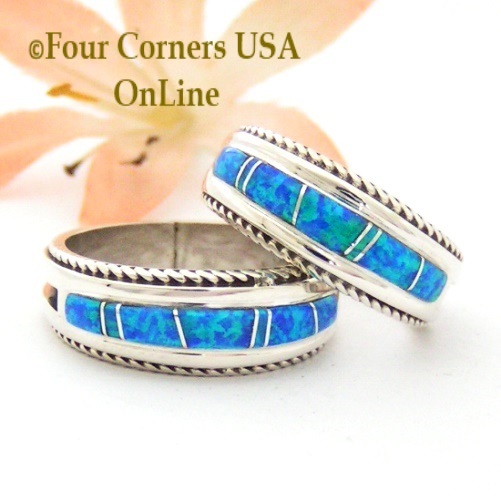 A wider contemporary style by seasoned Inlay Jewelry maker Ella Cowboy offers a lighter pastel color blue and a more traditional style Native Indian ring by Wilbert Muskett Jr. offers a vibrant jeweltone blue. 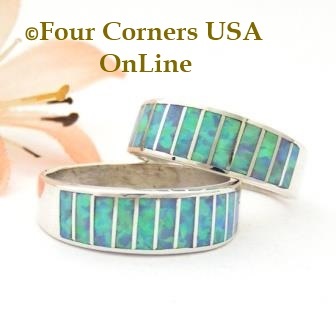 These beautiful time honored Blue Fire Opal Band Rings are wonderful fashion statements as well as replacement Wedding Band Rings, Anniversary Gifts, Commitment Rings or just signs of affection. 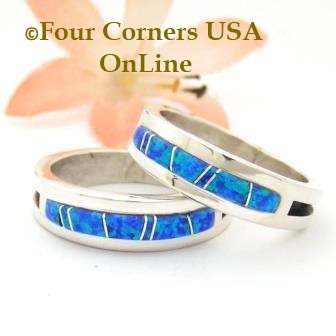 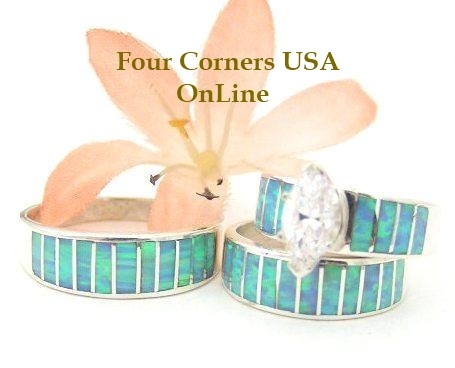 Native American Blue Opal Inlay Band Rings are a wonderful alternative to traditional or socially expectant Wedding Rings and a true expression of your personal style.